Z100, New York’s Hit Music Station, has unveiled the star-studded line-up and special guest presenters for the annual holiday concert Z100’s Jingle Ball 2011, presented by Aeropostale, which will take place on Friday, December 9, 7:30 p.m. ET at Madison Square Garden. Mayor Bloomberg has issued a special proclamation officially declaring December 9, 2011 Z100’s Jingle Ball Day in New York City. 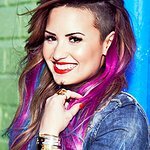 Late last week, Demi Lovato joined Z100’s JJ at Aeropostale’s Times Square store to make the official announcement of the all-star lineup for Z100’s Jingle Ball, which includes: Lady Gaga, Pitbull, Kelly Clarkson, David Guetta, LMFAO, Foster the People, Gym Class Heroes and Hot Chelle Rae. Special guest hosts will include: Kim Kardashian, Khloe Kardashian Odom, Lamar Odom and Karmin, with more to be announced. Every year Z100’s Jingle Ball gives back to the community to celebrate the holiday season. This year’s official charity partner for Z100’s Jingle Ball is STOMP Out Bullying, a national anti-bullying/cyberbullying program for kids and teens. It is the signature program of Love Our Children USA which, since 1999, has been the national nonprofit leader and ‘go-to’ prevention organization fighting all forms of violence and neglect against children in the U.S.
Tickets will be sold EXCLUSIVELY to ZVIP members via Ticketmaster starting November 1 at 4 p.m. ET. Listeners can register for FREE to become a ZVIP member by logging on to Z100.com keyword: ZVIP. Any tickets not sold will be available for public purchase starting Wednesday, November 2 at 4 p.m. ET via ticketmaster.com. Z100’s Jingle Ball 2011 will kick off with the action-packed Z100 & Coca Cola’s All Access Lounge. The FREE event will include performances by Z100 artists and meet & greets with fan favorites. The FREE indoor festival will feature music as well as interactive displays from some of today’s hottest brands and products. The event will take place from 12 – 6 p.m. ET at Hammerstein Ballroom, 311 W 34th St, New York, NY and will welcome fans of all ages. For the second year in a row, Z100’s Jingle Ball will host a nationwide search for the next big musical act called Z100’s Hometown Hero presented by State Farm. Z100 has teamed up with Eventful, Inc., a leading online digital consumer and entertainment service, to launch Z100’s Hometown Hero 2011. Music artists and bands alike can sign up and compete on Eventful’s unique “Demand it!” service, which empowers their fans to “Demand” that they win the chance to perform live on stage at Z100 & Coca-Cola’s All Access Lounge, the official pre-event to Z100’s Jingle Ball and have their first official music video produced by Z100. For more information and to register for Z100’s Hometown Hero contest log on to www.Z100.com keyword: Jingle Ball. Z100’s Jingle Ball 2011 will air on Fuse, the national music television network of The Madison Square Garden Company exclusively on December 18 at 7 p.m. ET. This will be the second year music fans across the country will have the opportunity to experience the highly anticipated annual event on television. For up-to-minute information on Z100’s Jingle Ball 2011 listen to Z100, New York’s Hit Music Station, or log on to www.Z100.com keyword: Jingle Ball.